BlytheLife.com » QOTW: Have You Ever Won a Doll? QOTW: Have You Ever Won a Doll? Winning a doll, I feel, is like winning the lottery in the Blythe world. This is not to be confused with winning a purchasing lottery (e.g. 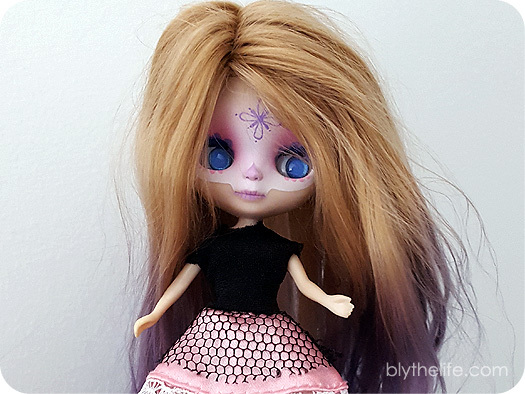 you enter in an lottery for a new Blythe release, and then you win the opportunity to purchase a doll), which is not nearly as fun as you still have to spend money to get that doll in your hot little hands. I’ve definitely won a couple of purchasing lotteries before, but then thought the better of it after I thought about it some more (and saw promotional images) – did not regret not buying those dolls at all! I’ve sort of won a doll before – the I.G. Sirenita custom Petite Blythe for BlytheCon Vancouver. My sisters were unable to attend, but they wanted to support O.W.L. so they gave me money to purchase each of them a raffle ticket. Both of them won (!) and one of them had one the I.G. Sirenita Petite. I wound up getting the doll as a birthday gift later that year, and then I named her Lark. Have you ever won a doll? Share below! QOTW: Who was your latest doll purchase?